Now Storing for the Largest Rug Retailer in Ireland and the UK! Storage space can be difficult to obtain, especially for expanding businesses or those who are simply overstocked. With a large stock containing over 125,000 rug collections, The Rug House in Newry is the largest rug retailer through-out Ireland and the UK , supplying a vast rug range in various ranges, sizes, colours and patterns. Although the retailer is currently situated within a 60,000ft warehouse, the e-commence company has seen stock consistently mounting; resulting in little to no free space to store new rugs. 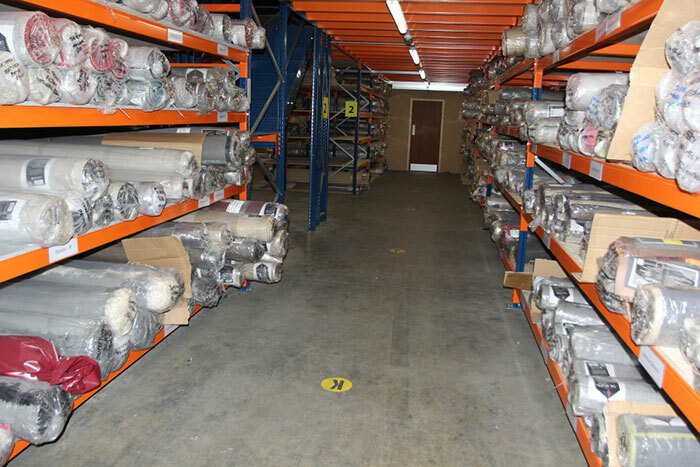 Since The Rug House has used every square inch of their premises for stocking products they have decided to relocate a number of their modern rugs, shaggy rugs and traditional rugs into one of our larger business storage units. This has avoided cluttering which is beneficial as de-cluttering can help to streamline your business by making work processes more efficient. In order to re-locate the stock, The Storage Centre organised a fleet of our haulage vehicles to The Rug House warehouse on moving day, were our friendly team carefully packed and transported the huge rug collection to our larger storage facilities based in Belfast; this is where the rug collection is now safely stored under the watchful eye of our 24 hour security. If you or your business need to free up space, choose a personal or business self-storage unit within The Storage Centre, as our unit sizes range from 125sq ft up to 5,000sq ft, and you only pay for the space you need. We have space that grows with your business.